Uglyworld #93 - Jeero The Mexican, originally uploaded by www.bazpics.com. Last night after dinner myself Jeero and Wedgehead went along to Molly Malones for a few pints of Kilkenny. 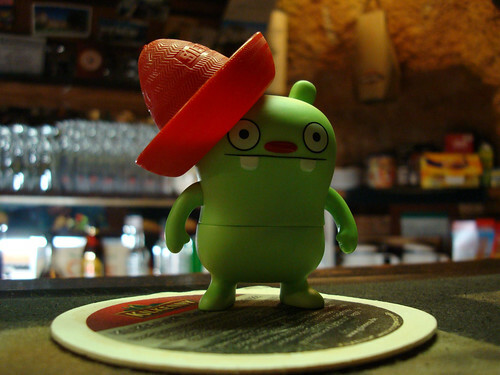 Jeero can drink less beer than the likes of Wage, so after his 3rd pint he was already slurring his words and wobbling from side to side as he went to and from the toilet. Before we left he asked Timo who was working behind the bar if he could try on the hat from a bottle of Sierra Tequilla. As soon as the hat was on he was giving it all the random Mexican phrases he knows (which wasn't too many but funny all the same).